I love what inspired people can do with some unusual means. This is the case of The Art Toast Project of the Norwegian food artist Ida Skivenes (who goes by her online pseudonym Ida Frosk). 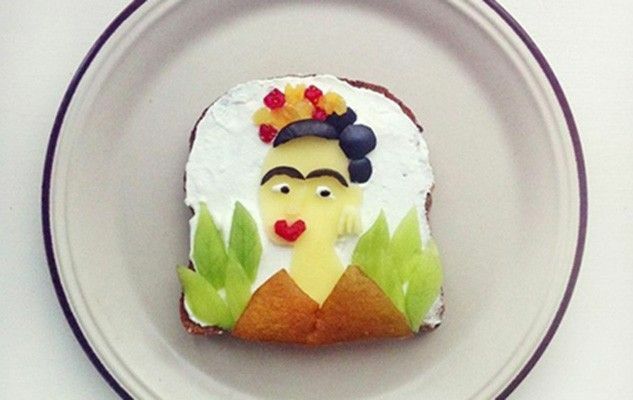 Using a slice of toast as her canvas and food stuff instead of paint, she reproduces masterpieces of the most famous painters (Matisse, Van Gogh, Munch, and many others). I invite you to visit her instagram account or her website web. Are you able to recognize the original paintings?